Head, Dept. of Apparel Eng. It is great pleasure to welcome you to the Department of Apparel Engineering, a belt of omniscient knowledge and adeptness on industrial textile manufacturing. RMG sector occupies the most portion of foreign currency earning sources in Bangladesh and the demand will never dent due to being the second basic human need. Apparel Engineering Department is the most important and leading one in the first ever public university on textiles in Bangladesh. It has a proud history of delivering top class industry relevant courses and offers you a variety of challenging yet rewarding career paths. From the very technical and innovation to the practical and pragmatic, this department offers a diverse and high quality learning experience in this specific area. At present, we are offering B. Sc. in Textile Engineering (Apparel) and M.Sc. in Textile Engineering (Apparel) degrees. Our courses are recognized for their depth, detail and quality within the sector and you can be assured of high quality teaching staffs and excellent facilities. We are firmly committed to give the students a solid foundation to build their career successfully. To establish apparel engineering department of BUTEX with world class teaching-learning and research facilities. Modernization of apparel engineering laboratory with latest machines, equipment, and technologies and to facilities regular practical classes and research works. Establishing AE departmental seminar room to organize various seminars, workshop, training etc. Taking initiative for creating facilities for higher education and training both in home and abroad for the teachers and the staffs. Creating linkage of apparel engineering department with apparel industry and alumni. Establishing alumni association of apparel graduates initiated by apparel engineering department. To produce quality apparel graduates suitable for the apparel industry and business sector. To create facilities for research and development. To ensure pleasant teaching-learning environment. To create strong bond within apparel department and alumni. As a respectable figure in the academic campus of textile sector in Bangladesh, Prof. M.A. 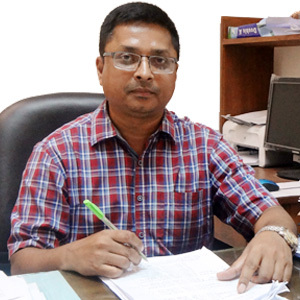 Kashem has been working as a professor in the Department of Apparel Engineering at Bangladesh University of Textiles since 2014 and at present, he is the Head of the Department. 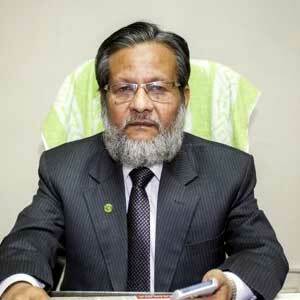 He had been serving as the honorable Chairman, Technical Education Board from 2009 to 2014. Again, he contributed in the Directorate of Technical Education as the Director General (Additional Charge) for the period of 2010-2011. At the very dawn part of the professional life, Prof. M.A. Kashem started his career as lecturer at former College of Textile Technology, present BUTEX in 1983 as a reflection of his devotion for improving the academic and research arena. He worked there till 2009 as a successful academician. A very popular apparel based syllabus oriented book “Garments &Technology” written by him proved his passion for sharing knowledge with the students and giving them proper guidelines. He is also the writer of the book “Garments Merchandising”. He also supervises MSc. Students as a chance to interact with them and show the right path to acquire knowledge and implement them in their professional life. • Quality issues for Apparel Manufacturing. Prof. M.A.Kashem possesses a glorious academic background. After successful completion of HSC and SSC levels, he was admitted to former College of Textile Technology under University of Dhaka (present BUTEX). After completing his B. Sc. in Textile Technology with distinguished result he was offered to join here to contribute in the academic activities. He got his MSc. In Textile Engineering degree from University of Leeds in 1988. As a student, he was attached to various social and student welfare organization as a leader or co-operative figure. Prof. Dr. Md. Mashiur Rahman Khan, honorable Dean, Faculty of Textile Fashion Design and Apparel Engineering was the 1st head from this department as the most dynamic faculty member and was delegated as head in charge during the time period of 2007 – 2010. He started his job as merchandiser in Opex group and continued for 2 years. He worked as Dyeing master and also factory manager in Sinha Group before starting his career as an academician at College of Textile Technology in June,1995 in Garments Technology for his excellent performance. Dr. Khan was the 1st Director of Student Welfare of this university. At present, he is performing his duty as the inspector of Affiliated Colleges as an additional responsibility. Apparel Washing, Dyeing and Printing. The academic excellence of Dr. Khan is the reflection of his devotion to the goal of outstanding career. After successful completion of HSC and SSC levels, he was admitted to former College of Textile Technology under University of Dhaka (present BUTEX) .He completed his BSc. in Textile Technology from there in 1989 with distinguished result. He achieved his Msc.in Textile Studies in 2002 from University of Bolton, Manchester, UK. 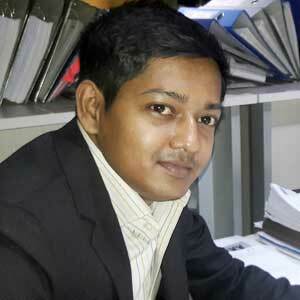 He has completed his PHD in 2013 from the Department of Chemistry and Chemical Engineering, University of Rajshahi. He got the opportunity to do foreign training in France and Srilanka the in the field of Garment Technology and Apparel Quality Management offered by France Government and JICA. 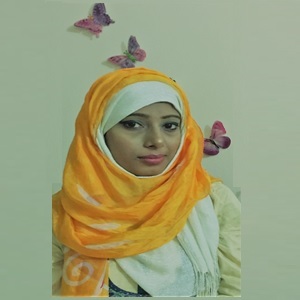 Kaniz Farhana is now working as an assistant professor in the Department of Apparel Engineering under the faculty of Fashion Design and Apparel Engineering at Bangladesh University of Textiles. She has a prolonged job experience in different renowned export orientated industries which helps her to create industrial ambience in the classes that is very important for technical education. She started her career as a Senior Lab Executive at Interstoff Apparels Ltd in 2006. She continued there until joining at Bluebird International ltd. in 2008 as Lab Manager. For her sterling performance in the job sector she got the offer from Araf Apparels to work with them as Lab Manager. She continued there from 2009 to 2011.Finally she got the opportunity to share her knowledge with the students for her successful industrial career and joined at BUTEX on June, 2011. Attaining the outstanding results in HSC and SSC exam, Kaniz farhana got admitted in College of Textile Technology, present Bangladesh University of Textiles. She successfully completed her BSc.in Textile Technology specializing in Wet Processing Engineering with 1st class 2nd position. Her dedication for studies and gathering knowledge reflected also in her completion of MSc.in Textile Engineering with 1st class 2nd position from the Department of Apparel Engineering. She was also rewarded primary and junior scholarship. Present Status of Workers in Ready-Made Garments Industries in Bangladesh. Mahmuda Akter, Assistant Professor ,Department of Apparel Engineering under Faculty of fashion Design and Apparel Engineering is specialized in Apparel Manufacturing Engineering. Her academic focus is Apparel engineering and Clothing. She joined in Bangladesh University of Textiles in 2011. Prior to becoming an faculty member of BUTEX, she was in professional and industrial practice where she worked as a Merchandiser at Merchandising department of Opex group and also worked as an Executive (Sales & Distribution) at Viyellatex Group. Mahmuda Akter received her B.Sc. in Textile Engineering Degree from College of Textile technology (a constitution of Dhaka University) and M.Sc. in Textile Engineering (Apparel Manufacturing ) from Bangladesh University of Textiles. 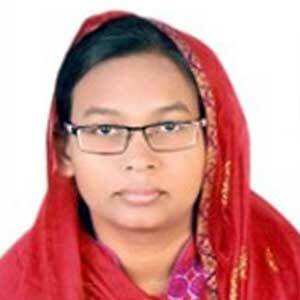 Lamya Zahir is now serving as lecturer at Department of Apparel Engineering at Bangladesh University of Textiles. She joined here in February, 2013 and prior to this, she worked at Dhaka University of Engineering & Technology as a lecturer. She also worked at Green University of Bangladesh for some period before joining at DUET. She has industrial job experience which helps her to harmonize the industrial and theoretical course based knowledge. She believes on the priority of the environment issues before any implementation of technology. She is focused on ingenuity, innovation in technology, processes, chemicals and materials and also on sharing knowledge with the others for her research career. 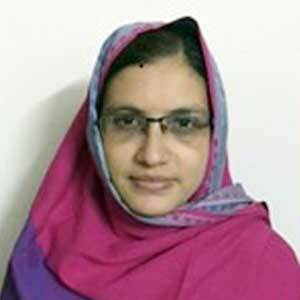 Lamya Zahir possess very distinguished and speculative academic record. She completed her BSc. In Textile Technology from Bangladesh University of Textiles securing 1st position in garments technology which is now newly named as Department of Apparel Engineering. She is now perusing her M.sc. in Textile Engineering from this department and now working on her thesis part on the application of plasma technology on textile materials under the supervision of respected professors. She achieved the board scholarships in both HSC & SSC and was awarded primary and junior scholarships. Cherishing the vision to become a prominent academic and research scholar, Mr. Md. Mazedul Islam is currently serving as Assistant Professor in the Department of Apparel Engineering at Bangladesh University of Textiles. He joined the Department of Apparel Engineering in June, 2015. Prior to this, Mr. Islam worked as Lecturer at Dhaka University of Engineering and Technology (DUET), Daffodil International University (DIU) for almost four years where he taught in the areas of Apparel Production Engineering, Technology and Management, Apparel Washing and Dyeing etc. Before that, he worked as merchandiser at Opex and Sinha Textiles Group Ltd. (one of the largest RMG exporting industry in Bangladesh), where he was engaged in raw materials sourcing, consumption & costing, product development, monitor production process, commercial activities etc., and thus enriched his industrial experiences. In addition, Md. Mazedul Islam works as Technical Consultant and Trainer at the Centre for Sustainable Solution (CSS), an organization for sustainable development to textiles and clothing business, engineering, technological and academic fields. He also worked as Assistant Editor, Journal of Textile Engineering (JTE), Published by the Institution of Engineers, Bangladesh (IEB) and Research Associate at the Clothing Institute, a global organization for clothing technology and education, a concern of Clothing Technology. He has published and presented several scientific and technical research papers in peer reviewed journals and conferences. Md. 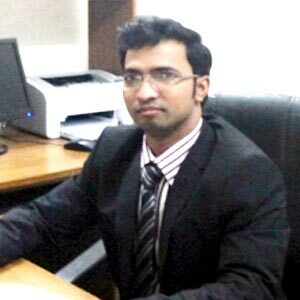 Mazedul Islam is the professional member of The Institution of Engineers, Bangladesh (IEB) and Institution of Textile Engineers and Technologists (ITET). His teaching and research interest includes: Apparel production technology & management; Merchandising and retailing, Sustainable development of apparel products and industries; Green fashion-concepts, methods and applications; Apparel washing and dyeing; Clothing comforts; Identifying strategies that manage risks and capture sustainability in fashion products; Technology adoption in apparel business. He believes “knowledge is power” and enjoys sharing his profound knowledge, experiences and research activities with the students. Over many years, Mazedul Islam has been the advisor and member of numerous social welfare organization, like Badhan, Youth against Hunger (Voluntary Blood Donor’s and Social Welfare Organization in Bangladesh), Debating club, Science club etc. In his spare time, he enjoys reading books, listening music, watching movies, travelling, paragliding, photography; playing various indoor and outdoor games including cricket, football, table tennis, badminton, carom, cheese etc. Md. Mazedul Islam possess very reflective and outstanding academic records. He persuaded his both M.Sc. and B.Sc. in Textile Engineering with specialization in Apparel Engineering from Bangladesh University of Textiles with excellent results. He achieved the board scholarship for good results in both H.S.C & S.S.C examination. He was also awarded primary and junior scholarship. Materials and Manufacturing Environmental Sustainability Evaluation of Apparel Product: Knitted T-Shirt Case Studies. Effects of reductive stripping of reactive dyes on the quality of cotton fabric. Adnan Maroof Khan has joined as a Lecturer in the Department of Apparel Engineering of Bangladesh University of Textiles (BUTEX) in October 2017. Later he was promoted in the post of Assistant Professor in November 2018. 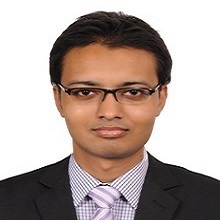 He started his career working for Opex Group back in 2011 and then got offer in the teaching sector to serve Daffodil International University as a Lecturer followed by further teaching in Dhaka University of Engineering and Technology (DUET) in the same post. His overall experience in the teaching sector is of almost 5 years. Mr. Khan has contributed in 9 publications, which were published in different nationally and internationally famed journals. His passion lies heavily in the research fields related to 3D CAD technology of textile and industrial Robot’s clothing as well as in the application of apparel engineering in technical textiles, especially in the automobiles and aerospace engineering. Before joining this university he has earned expertise working in diversified fields and obtaining a prestigious Master’s degree from TU Dresden (Germany) with fully-funded DAAD scholarship. He is also serving as a Regional Ambassador of TU Dresden (Germany) since July 2017. After completing BSc in Textile Engineering with specialization on Apparel Engineering, Ms Jesmine started her career as a Management Trainee under Marketing and Merchandising Department at Epyllion Group. In July 2016 she has joined as a Lecturer in the Department of Apparel Engineering at BUTEX. Ms Jesmine has completed her B. Sc. in Textile Engineering with specialization on Apparel Engineering from Bangladesh University of Textiles securing 1st position. She has completed her HSC and SSC under Jessore Board from Abaypur Jamuna Sikder College and Kamanna High School located at Shailkupa, Jhenaidah. She has also achieved Board Scholarship in SSC and Junior Scholarship. Md. Kamrul Hassan Chowdhury is serving as lecturer at Department of Apparel Engineering at Bangladesh University of Textiles from 14th February, 2017. He has excellent industrial background as before joining here in BUTex he has worked with Merchandising & Marketing team of Masco group, a leading knit composite factory in Bangladesh. He has worked there for more than 3 years. Md. Kamrul Hassan Chowdhury completed his B.Sc. in Textile Engineering with specialization in Apparel Engineering from Bangladesh University of Textiles and now he is working with his thesis work of M.Sc in Textile Engineering from BUTex. He achieved the board scholarship for good results in both H.S.C & S.S.C examination under Chittagong board. He was also awarded junior scholarship. Upama Nasrin Haq, serving as Lecturer at Department of Apparel Engineering under the faculty of Fashion design and Apparel Engineering of Bangladesh University of Textiles. After completing B.Sc. in Textile Engineering with major in Apparel Engineering, she joined as Lecturer in Bangladesh University of Business & Technology (BUBT) in February, 2014. Having a strong passion of research, she has research work in various sections of Apparel and clothing specially washing technology and comfort of apparel. She has published some research work in numerous International journals. Mrs. Haq is a progressive reviewer in several peer reviewed journals. She has joined BUTEX in October, 2017 with the drive of increasing her research knowledge. Human factor engineering of the operators. Association between engineering psychology and operator’s productivity. Upama Nasrin Haq completed her B.Sc. in Textile Engineering degree from Bangladesh University of Textiles with merit position 1st in Apparel Engineering department (2014). She has an excellent academic career since her primary education level. She won primary scholarship (2000), junior scholarship (2003), board scholarship on SSC (2006), board scholarship on HSC (2008) securing GPA-5 on both SSC and HSC. She is now enrolled in MSc in Apparel Engineering at BUTEX. Upama Nasrin Haq, Mohammad Mobarak Hossain, A REVIEW ON REDUCTION OF AIR CONSUMPTION IN AIR JET LOOM: THE POSSIBLE SETTING POINTS. Journal of Asian Scientific Research, Vol. 7, No. 3, 2017, pp.52-62. Effects of Biochemical Wash on 100% Cotton denim Apparel.American Journal of Chemical Engineering. Special Issue: Advanced Chemical and Biochemical Technology for Biofuels. 5, No. 2-1, 2017, pp. 6-14. Investigation of the Bulk, Surface andTransfer Properties of Chlorine Bleached Denim Apparel at Different Condition. European Scientific Journal,11, No.12, 2015, pp-213-227. Technology of Acid Wash on Woven Denim Apparel with Damp Pumice Stone.International Journal of Science, Environment and Technology. 3, No 6, 2014, pp-2090–2095. Behaviors of Physical and Mechanical Characteristics of Denim Apparel After Acid Wash Treatment.International Journal of Engineering Research & Technology (IJERT). 3, Issue 11, 2014, pp-696-710. 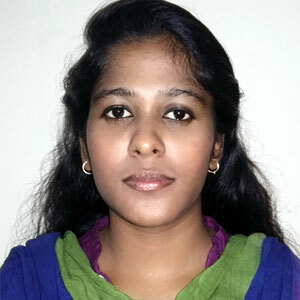 Smita Rani Debnath, serving as Lecturer at Department of Apparel Engineering under the faculty of Fashion design and Apparel Engineering of Bangladesh University of Textiles. After completing B.Sc. in Textile Engineering with major in Apparel Engineering, she joined as Production Leader in Decathlon Bangladesh Liaison Office(A French Retailer) in November,2014. Having a strong passion of Apparel Merchandising & Supply Chain , she has worked in supply chain for more than three years with distinction & various professional rewards. She is a Certified Supply chain Analyst by ISCEA . 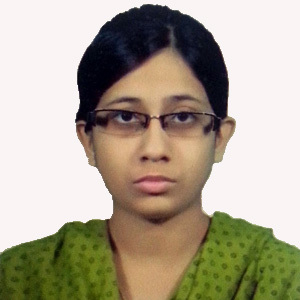 She was also offered by the Supply Chain Giant IKEA for the Post of Supply Planner of South Asia Region in November 2017, but having a dream for being an academician , she joined BUTEX in January , 2018 with the drive of increasing her research knowledge & to Contribute to the Education system & over all welfare of Textile & Apparel Industry of Bangladesh . 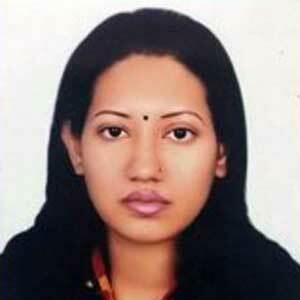 Smita Rani Debnath completed her B.Sc. in Textile Engineering degree from Bangladesh University of Textiles with merit position 1st in Apparel Engineering department (2015). She has an excellent academic career since her primary education level. She won primary scholarship (2001)(1st in District) , junior scholarship (2nd in district ,2004), board scholarship on SSC (2007), board scholarship on HSC (2009) securing GPA-5 on both SSC and HSC. She is now enrolled in MSc in Apparel Engineering at BUTEX. Nurunnesa, serving as a lecturer at Department of Apparel Engineering under the Faculty of Fashion Design and Apparel Engineering in Bangladesh University of Textiles. After completing B.Sc. in Textile Engineering with major in Apparel Engineering, she joined as a lecturer in Northern University Bangladesh in May, 2017. 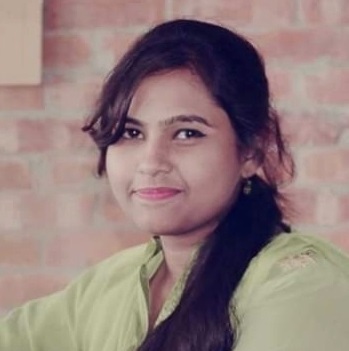 She joined BUTEX in December, 2018 with the drive of enhancing her research knowledge and contribute to the education system & overall welfare of Textile & Apparel sector of Bangladesh. Nurunnesa completed her B.Sc. Textile Engineering degree from Bangladesh University of Textiles securing the 1st merit position in Apparel Engineering department (2017).She won primary and junior scholarship and also Board scholarship on SSC (2009). She awarded with Prime Minister Gold Medal Award 2017 for being faculty 1st. She is now enrolled in M.Sc. in Apparel Engineering at BUTEX. 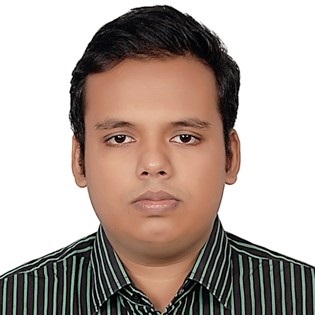 Sazid Elahi is serving as a lecturer at Department of Apparel Engineering at Bangladesh University of Textiles from January 06, 2019. After completing his graduation from BUTEX, he joined as a Management Trainee at Kwung Tong Apparels Ltd. But having a great desire to become a faculty member, then he joined as a lecturer at BGMEA University of Fashion & Technology. There he worked almost 1 year as a lecturer at Department of Apparel Merchandising & Management. Sazid Elahi completed B.SC in Textile Engineering with specialization in Apparel Engineering from Bangladesh University of Textiles securing 1st position in his department. He got GPA-5 in all subjects in SSC & HSC examination & secured 23rd place in SSC examination at Dhaka Board. He won talent pool scholarship in SSC & junior level.